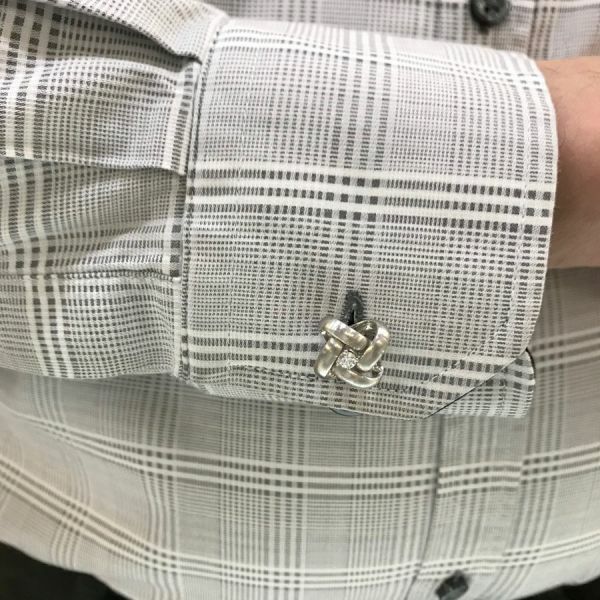 One 18 karat white gold knot motif men's dress set. Two round brilliant cut diamonds (0.28 carats: VS1 clarity: G-H colour). Three round brilliant cut diamonds (0.15 carats: VS1 clarity: G-H colour).